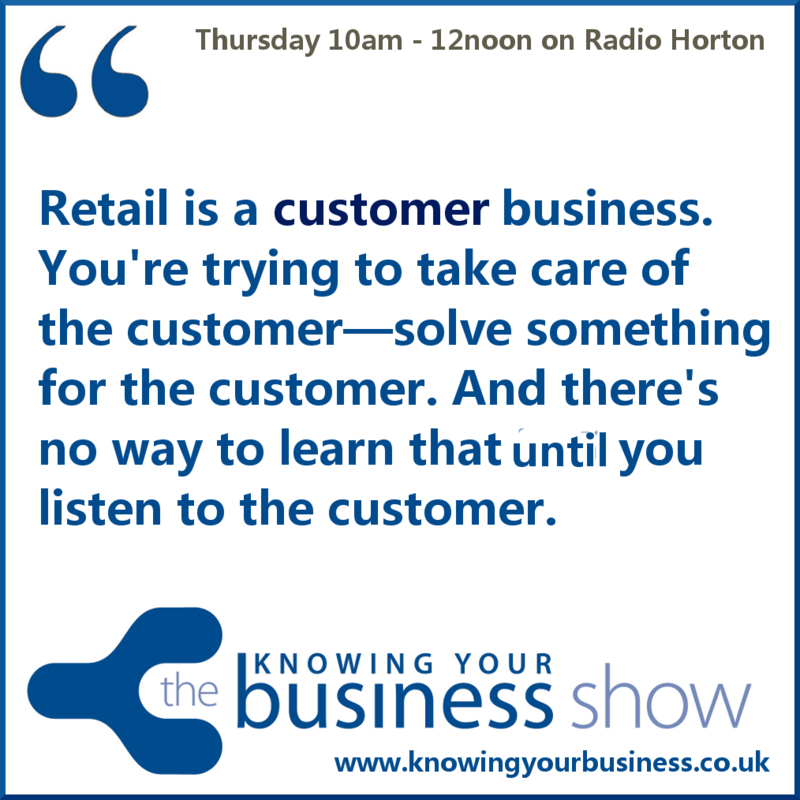 On this Knowing Your Business Radio show we’ll explore the retail business. What it’s really like to be a retailer? We’ll learn our guests stories. Why they started in retail. What have been the challenges. How do they market themselves. Who are their ideal customers. Where are they based. We’ll hear the excitement in their voices. Their mission, their values, their vulnerabilities, and their passion. Apparently the best way to differentiate your retail business from its competitors is to incorporate your personality, your style, and even your lovable quirks into the business. This will not only make your shop unique, but it will help you attract the types of customers you want, which will make running your business more fun, natural, and fulfilling. Asking the questions is regular guest presenter ex BBC Journalist Iain Nicholson. All the radio interview podcasts are niw available further down this page for 7 days. Banbury’s first and only Pay It Forward Café Bar, where you can expect to find Art & More. They operate a donation based system where you get to choose how much, and what you give for food and drink, or use of the space, according to what you think your experience is worth. In 2015 they were featured on BBC South Today and ITV Meridian news channels thanks to their unique payment system where the news report went viral on social media channels following the broadcast ramping up over 30000 views! Proud of their community approach to doing business and excited to be working with members of the local community on projects and workshops that are close to their hearts. Naomi is also in the business of making win-win connections between likely audiences with a business requirement and solutions providers.She helps scope, implement and deliver successful marketing campaigns for her clients primarily through telemarketing, but also through PR, advertising, and email campaigns. RedBorder Ltd is a Retail Marketing and Sales specialist. They are committed and passionate about bringing together ambitious businesses and making exciting collaborations. Adding to their service offer portfolio they co-ordinate special pop up events to help small businesses raise their profiles and reach new customers, opportunities which they might otherwise miss. Attavanti Limited, a Worcester company which has office’s in St Mary’s Street has shown the success of its brand by being awarded the #SBS business award on Twitter by Dragons’ Den entrepreneur Theo Pathitis. Attavanti is an online business supplying designer, fine leather Italian handbags and accessories. Their stunning collection includes fantastic designer, classic and contemporary pieces. All of their beautiful handbags, wallets and luggage have been sourced from Italian suppliers for their authenticity, beauty and quality and each is individually made entirely in Italy by skilled craftsmen in the finest of Italian leathers. Attavanti’s Facebook page popularity has grown to over 83,000 likes. They also have a Google+, Twitter and Pinterest accounts where they post regular blogs on Italian design, leather, style and of course handbags. Nicholas hsa always appreciated the beauty of precious stones and metals and designing beautifully pieces of jewellery. His aim is to provide clients with beautiful good quality jewellery and to ensure they have an enjoyable shopping experience to match the happy occasion for which many are buying for, simply “A day to remember”. Contributing to his success in business over the years has been sound business strategies. The experience he has gained in retail and market knowledge has been crucial. Building reliable business contacts has been fundamental in sustaining quality of product and supports his commitment to customers. His regular contacts are a mixture of local businesses and national reputable organisations. The business is well established and continues to grow. Having opened a Bristol shop back in September 2010 Nicholas has been able to bring his expertise to a wider local area. The recent launch of his bespoke diamond the “Wylde Flower Diamond®” which has been patented and has its own trademark, has been a great personal accomplishment and indeed a huge achievement as it is normally only possible by the large internationally famous branded jewellers. Now, one of the UK’s leading jewellery designers is launching his bespoke diamond collection with a pop up shop at London’s exclusive department store Fenwick. The Wylde Flower Diamond® pop-up shop opens on the 5 May until 1 June in Bond Street. Centrally based in Banbury, Oxfordshire, Work Area Ltd supplies an extensive range of office chairs, laboratory and industrial seating, work lockers, and storage systems, to companies across the UK. 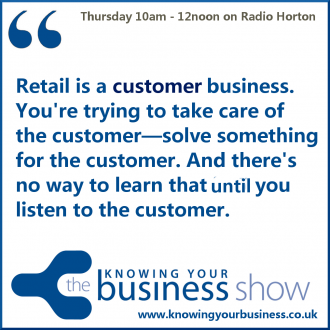 This week, the Knowing Your Business radio show has been presented by Ian Gentles and guest presenter Iain Nicholson.